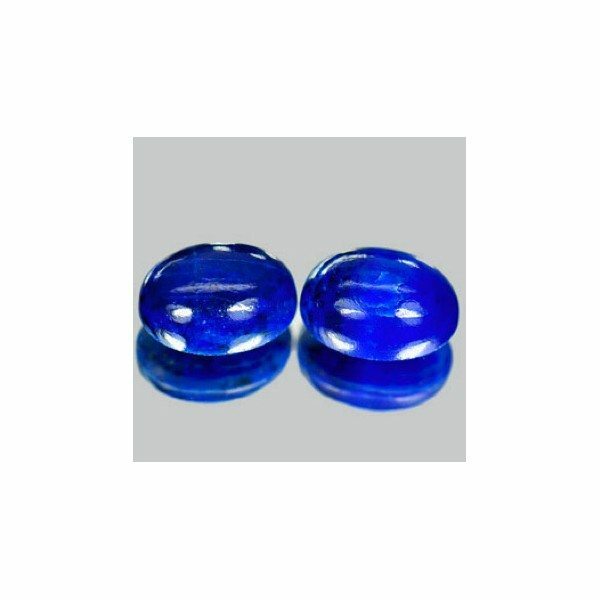 Don’t miss this pair of natural Lapis Lazuli gemstone for sale wholesale. 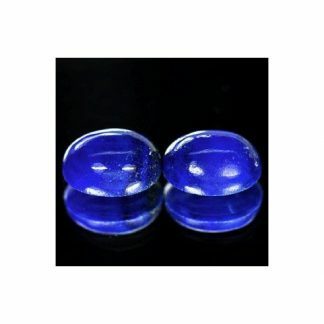 Genuine earth mined in Afghanistan, this lapis lazuli pair is totally untreated, any treatment was applied here, they comes with a natural royal blue color with strong saturation, and vivid tone, shaped into oval cabochon cut with good size and proportion, these Lapis Lazuli gemstones presents opaque clarity with natural golden pyrite inclusions. 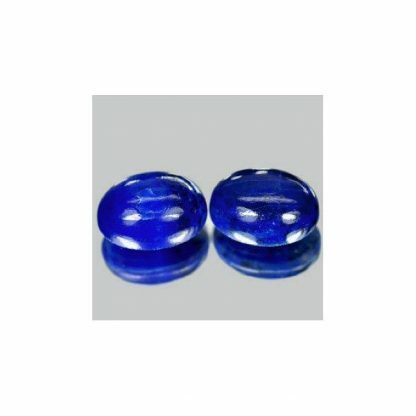 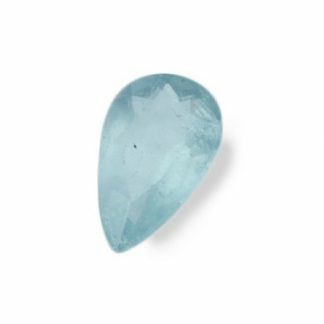 Considered medium durable stones, lapis lazuli can be easily set into jewelry, they are very ancient and popular stone, used to adornate jewels from ancient time. Buy online this lapis lazuli matching pair to create new original jewel with same looking stones. 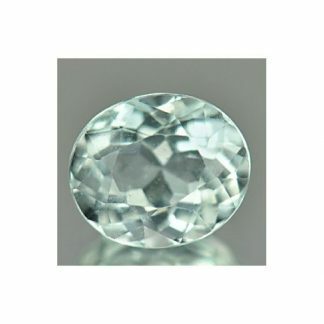 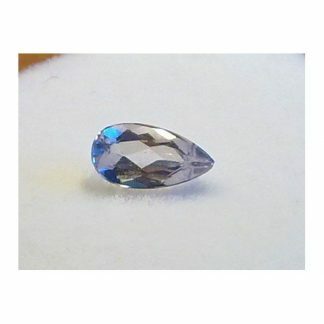 Size: 8.1 x 6.1 x 3.9 Mm.